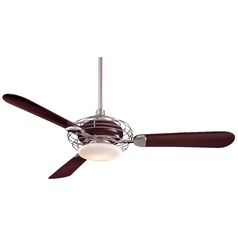 The following are detailed specifications about the 52-Inch Ceiling Fan with Three Blades and Light Kit. This design combines today's technology with retro style. The 52-inch silver blades create a metropolitan look. The unique open cage design and opal glass catch the eye. 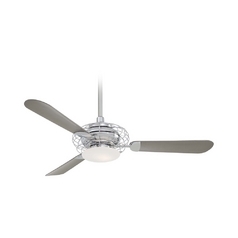 An integrated 100-watt mini-can halogen bulb (included) provides bright illumination. A cap for non-light use (shown) is also included. The standard mounting bracket adapts to ceiling slopes of up to 29-degrees. A full function wall control is also included. This ceiling fan complements any decor from antique to contemporary and is controlled by an included wall control. I was thrilled to find this fan at this price. 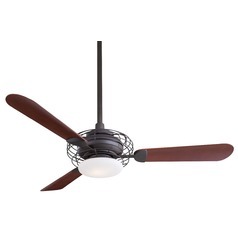 I had been looking at this exact fan at a high-end, retail hardware store for over a year, but couldn't bring myself to pay what they were asking (significantly more and w/o the remote). It arrived in just a few days and my husband, who is not a do-it-yourself-type, was able to install it in a few hours by reading the directions provided. We installed this in a large bedroom. It looks great, sounds good and the included halogen light provides nice lighting in our basement. 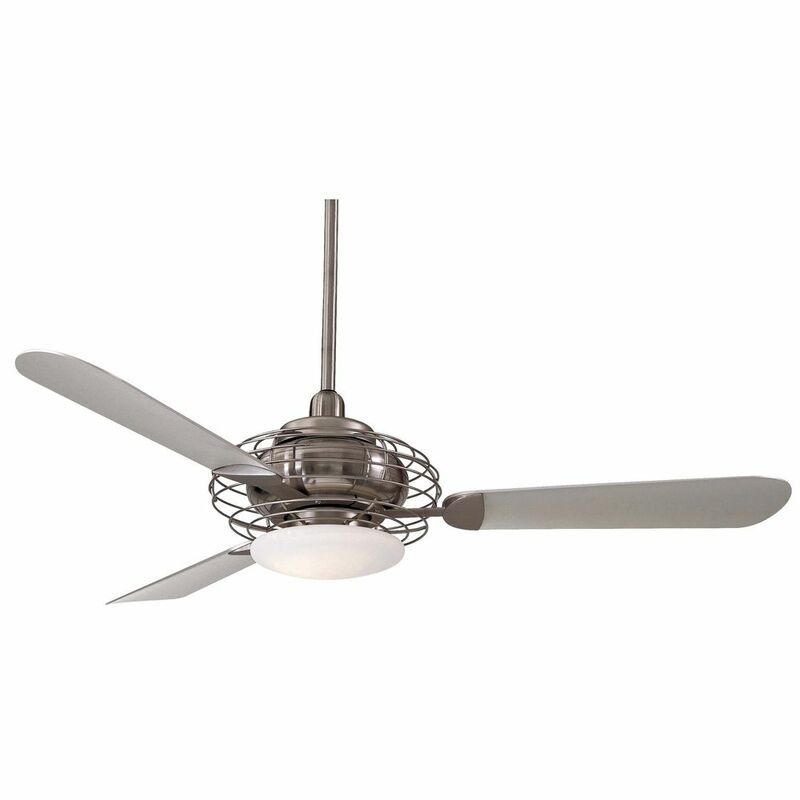 This 52-Inch Ceiling Fan with Three Blades and Light Kit is part of the Acero Collection from Minka Aire. The following items are also part of the Acero Collection.